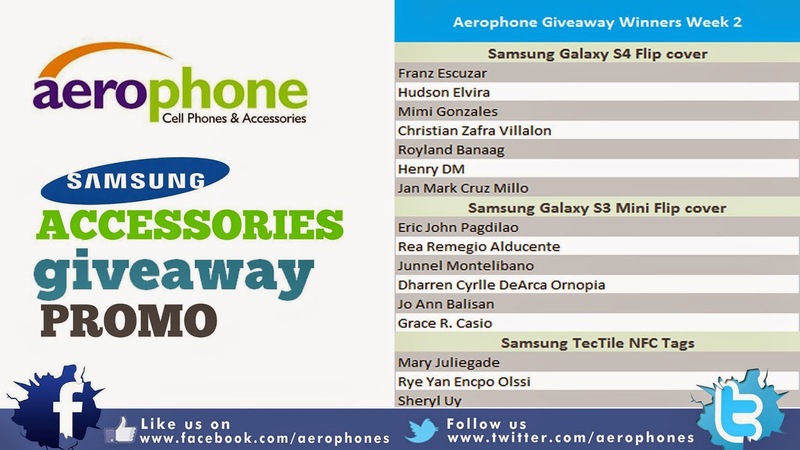 Here are the winners for our Aerophone Cebu Samsung Accessories Promo Week 2! As usual, you will be contacted through E-mail for your claiming code. Present your valid ID and claiming code that will be provided to you via email. Prizes must be claimed within three months from date of announcement. We will be revamping our giveaway promo for week 3! Winning will be easy. Stay tuned!